Originally an island that the Ohlone Indians used as a fishing site. Shell mounds were found on the north side of Coyote Point. Spanish padres claimed the area for mission lands. Mexican government took over the area after the Mexican Revolution. Island sold to shipping firm of Mellus & Howard. Howard family connected the island to the mainland. Area used for dairy farming. Pier built to ship out lumber. 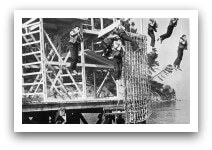 Addition of swimming tank and large bath house at the beach attracted many San Franciscans on the weekends. 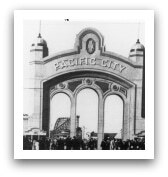 Pacific City Amusement Park opened. It was called the “greatest fun community since Coney Island.” Pacific City closed after only two years. The Howard Estate sold its 402 acres of Coyote Point to San Mateo for a park. The Federal Government was given 10 acres of land to establish the U.S. Merchant Marine Cadet School at Coyote Point. U.S. 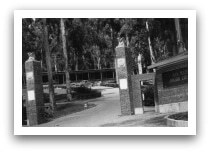 Merchant Marine Cadet School was purchased by the College of San Mateo as its first campus through 1963. 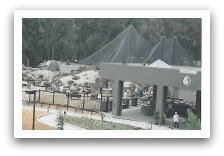 County Park established at Coyote Point. 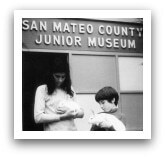 The San Mateo County Junior Museum is opened on the knoll in a Quonset Hut by the San Francisco Junior League, later named the museum’s Auxiliary. The San Mateo County Junior Museum Auxiliary established the Decorator’s Show House fundraiser. San Mateo County Junior Museum becomes Coyote Point Museum for Environmental Education. New museum building opened with an 8,000 square foot permanent exhibition in the Environmental Hall, classroom space, a resource library, and a theatre. 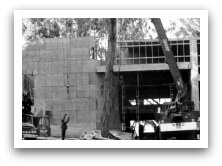 Animal Habitats opened, providing naturalistic habitats for native, non-releasable animals. Museum almost closed as a result of financial challenges. The museum was saved with a $500,000 campaign completed in 30 days to keep the doors open under new leadership. Coyote Point Museum for Environmental Education becomes CuriOdyssey, to better reflect the institution’s revitalization and renewed focus on hands-on science education. To download CuriOdyssey’s history as a PDF, click on the button below.